Within every department in every agency, recruitment of highly skilled employees is one of the most important functions of a public manager. 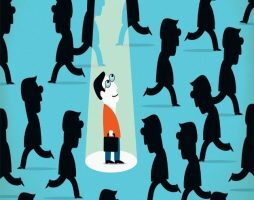 When it comes to recruitment, a manager is faced with the daunting task of picking a potential candidate that best compliments the position and the agency, is highly qualified and can successfully master the demands of the position. For an unskilled or new public manager, sometimes this task can make you feel like you are randomly closing your eyes, plucking out a resume and hoping for the best in the hiring of your new employee. When the job description is posted, and the application period begins, one way in which managers can help to narrow the pool of potential applicants is through including a series of questions or a “test” at the time of the application. Pre-application tests are one of the easiest and most effective ways to determine whether the applicants meet the criteria of the position. One example of a simple test is asking the applicant to describe in a few sentences how their skills best matches the qualifications of the position. Public managers may also consider asking for applicants to submit a writing sample to allow them to compare how applicants stack up against each other in their writing abilities. Once interviews have been scheduled, administering another round of tests is helpful for managers to gauge the practical skills of the candidates. While interviews are a good way to obtain a general idea of the candidate’s personality, interviews alone historically have low rates of reliability. Perhaps the biggest explanation for this is the applicant wanting to exaggerate their experience and skill sets. Obviously, candidates want to set themselves apart from their competition by showing the ways in which they are undeniably the only individual qualified for the position. During interviews, it is very common for potential employees to make themselves out to be a model employee capable of mastering each task set forth in front of them. Although they may be able to talk the talk, what you really want to know is — can they walk the walk? 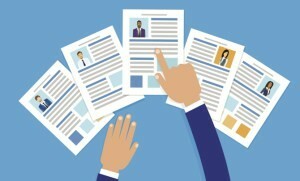 Having the candidate perform a job-related task during the face-to-face interview will help the manager determine whether their practical knowledge of the job meshes with their intellectual knowledge. For example, if your agency is hiring for a grant writer position, having candidates construct a short grant proposal during the interview is a great way to assure validity of the applicant’s knowledge. It is important for the public manager to remember that when using tests during the application process, all administered tests need to have a verifiable connection to the core responsibilities of the position. Public managers also need to ensure any test administered during the application process passes a legality challenge. The pre-employment selection test(s) should not be something that could be deemed inappropriate for the position within the agency. Requiring a drug test for public safety positions may be considered a valid test but requiring such testing for a regular administrative position may be considered illegal and potentially opens the agency up to a potential lawsuit. Pre-employment testing should also be both efficient and effective. An effective test is one that serves either a generic or targeted purpose in determining the skills of the candidate. Having a test be effective lends itself relatively well to the screening of potential applicants without any undue expense to your organization. Does your agency offer variations to standard work hours, including work at home options? Does your agency understand the need for occasional absences or changes in employee’s schedules due to family obligations? These types of accommodations in the workplace are important for employees because it manifests itself in building a great reputation for the company. Having an accommodating workplace also leads to increased profitability and opportunities for workers as well as boosts morality among staff. As a manager, it is important to not rush through the application and recruitment process solely to fill an open position in the quickest time possible. If you do not pay careful attention to the skills and abilities of the potential candidates, you run the risk of having to repeat the process all over again if the candidate fails in their new role. Through the careful screening of all applicants, you can set the path to hiring an employee that will help advance the work of the agency, will have a dedication to success and one that can grow professionally within the agency.